Humberlea, a quiet North York community, lies on the east side of the Humber River between Wilson and Sheppard Avenues. To the east are the industrial lands which can be seen along Highway 400. From the early 1800s until the mid 1900s Humberlea was a thriving farming community, originally populated by residents of British descent. In the 1940s, the farmlands were sold to developers. After World War II, a large Italian population arrived and settled here and in the neighbouring areas of Pelmo Park and Weston just to the south. Humberlea is well situated with great access to downtown and major thoroughfares. Motorists have easy access to the 401, 400, and to St. Clair Ave via Weston Road. The Weston GO station is conveniently located at Weston Road and Lawrence Avenue to zip commuters to Union Station and to the Royal York and Keele stations on the Bloor-Danforth Subway Line. Sheppard and Wilson Avenue buses connect passengers to the Yonge-University-Spadina line. York University is nearby at Weston and Steeles, while Seneca’s Jane Campus sits just below the 401. The area is served by several public and Catholic schools. The beautiful eastern shore of the Humber River winds its way through the community. Descend the steps at the entrance to Cruikshank Park at Weston Road and Lawrence, and you will feel like you are in another world. The beautiful paved pathways provide an excellent surface for biking, roller blading and walking. The Humber Valley Golf Club, which extends from Albion to Weston Roads, is a public course offering terrific views and great golf. Scarlett Woods Golf Course, at Jane and Eglinton, is another convenient option. Tennis is available at Strathburn Park on Strathburn Boulevard, and swimming at nearby Grandravine Community Centre on Grandravine Drive. For aspiring hockey players and enthusiasts, Downsview Arena is located at Wilson & Jane Street. You can’t beat The Crossroads Centre (on Weston Road just south of Highway 401) for its selection of chains and big box stores. Here you’ll find everything from a huge Loblaws Superstore, to Home Outfitters, Staples, Canadian Tire, Future Shop, The Brick, Sleep Country, Mark’s Work Wearhouse, Bulk Barn, and M&M Meats. There’s even a Reebok and Rockport Outlet Clearance Centre. For dining, great Italian specialties can be found at Caldense Bakery and Jolly Italian Eatery, right in the mall. At the nearby North York Sheridan Mall at Jane and Wilson you’ll also find many stores, including Winners, Zellers and Food Basics. Because many buildings feature two and three bedrooms apartments and good value, Humberlea is a great area for families. One bedrooms go for around $830, two bedrooms run about $1000 and three bedrooms average $1230. 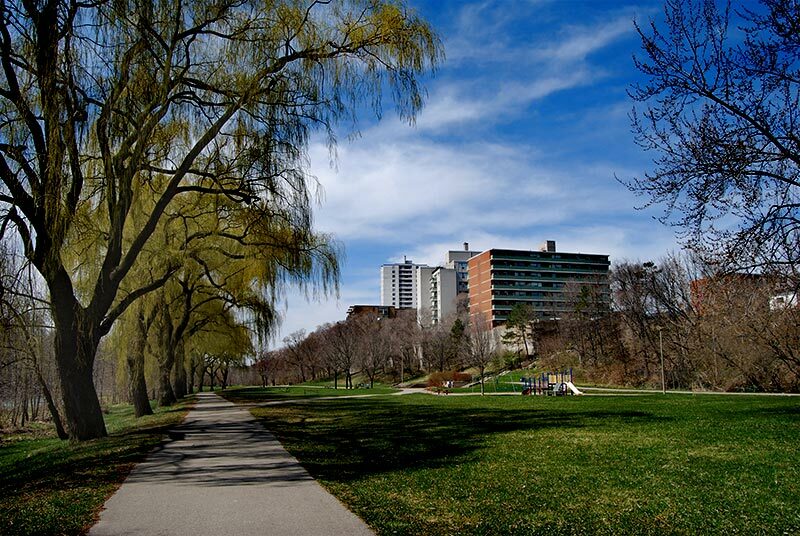 There are a large number of high rise and mid rise apartment buildings situated on Weston Road around Lawrence Avenue that overlook the Humber River and offer the ambience of a small town with the advantages of a large urban centre. Other buildings can also be found on Armel Court off Albion Road and King Street, about halfway between Wilson and Lawrence east of Weston Road. Gold Seal Management Inc. is a private Canadian corporation based in Toronto and was established for the purpose of providing professional, proactive and dynamic property management services in the Greater Toronto Area.